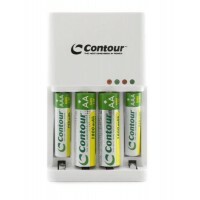 This charger can charger 2 x AA or 2 x AAA rechargeable batteries and can also charge 2 USB devices when plugged in to the mains and 1 x USB device when not plugged into the mains. 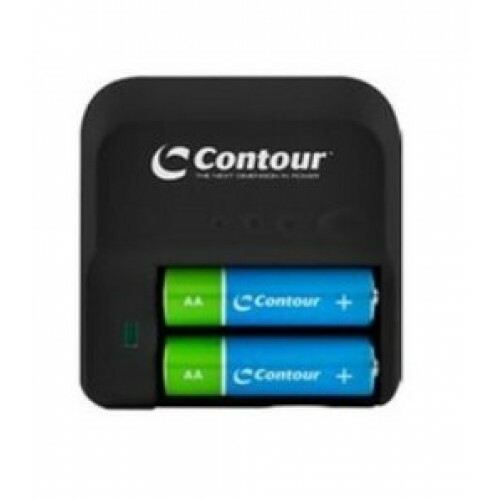 This device is also a portable USB charger - You can power any device using the USB from the charger including: Apple iPad, iPhone, iPod, BlackBerry, Samsung & other smartphones. 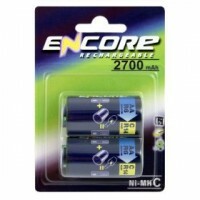 A standard battery charger will just charge batteries from the mains power. 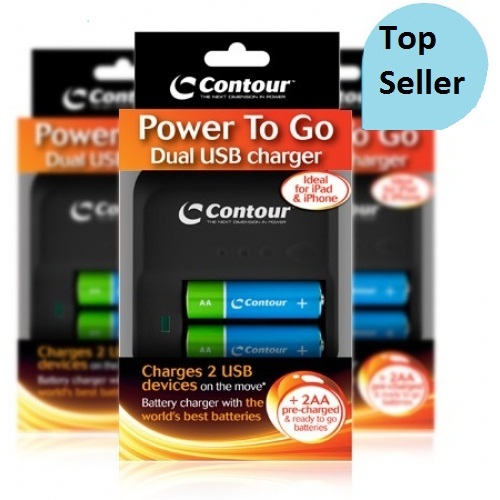 The Contour Power 2 Go charger will charge your batteries via the mains & then let you charge any electronic USB device from the power in the batteries whilst on the go. 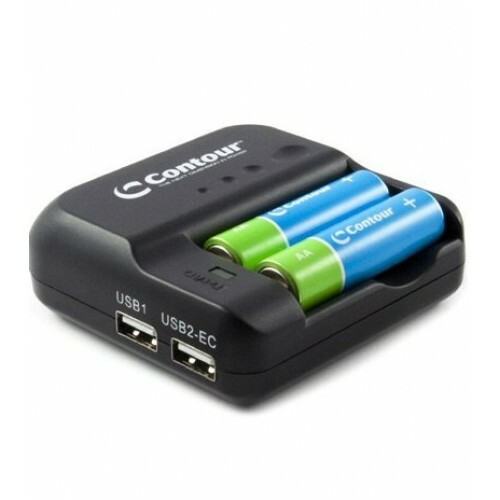 The Power 2 Go charger will also act as a convertor allowing you to charge your electronic devices via the charger, meaning you will not need to carry lots of different charges (Just use your devices USB cable). 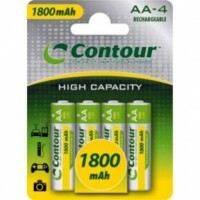 Charges your rechargeable batteries from the mains. 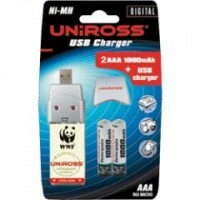 Charges up to 2 of your USB devices from the mains. Allows you to charge your USB devices from the power in your rechargeable batteries whilst on the go (Ideal for charging your mobile phone and for Camping, Festivals etc). 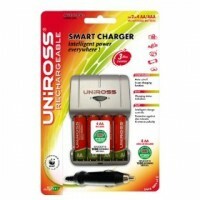 This compact Power To Go charger is small enough to fit in a pocket, handbag or travel bag. 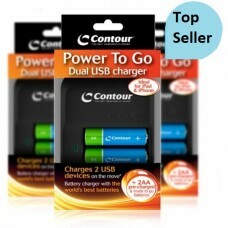 Please click here for the Contour Power 2 Go product manual and instructions. 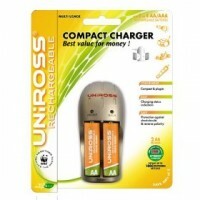 Uniross Compact Charger + 2 x AA + 2 x AA Batteries Best value for money! 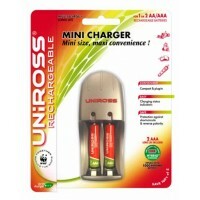 Pocket size and plug-i..
Uniross Compact Charger With 4 X AA HYBRIO Batteries Uniross Compact Charger With 4 X AA HYBRIO ..
Uniross Mini Charger + 2 x AAA & 2 x AA Batteries Best value for money! 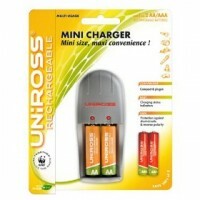 mini size Uniross Hy..
Uniross Performance Mini Charger + 2 x AA 2300mAh Batteries Mini size, maxi convenience! 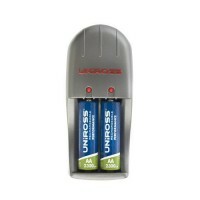 Pocket ..
Uniross Smart Charger + 4 x AA Batteries Intelligent power everywhere! 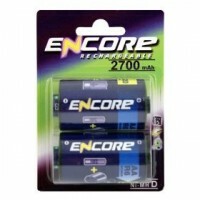 Ultrafast and compact c..
Uniross USB Battery Charger With 2 x AAA Rechargeable Batteries This Uniross USB battery charger..
2 x Uniross Encore C / LR14 2700mAh Rechargeable Batteries Specifications: Batteries per Pack..
2 x Uniross Encore D / LR20 2700mAh Rechargeable Batteries Specifications: Batteries per Pack..
Contour 4 x AA 1800mAh Rechargeable Batteries These Contour 4 x AA 1800mAh NiMH rechargeable batte..
Contour 2 Hour Rapid Battery charger with 2 x AA & 2 x AAA Rechargeable Batteries This Conto..
Uniross Mini Battery Charger + 2 x AAA Rechargeable Batteries Best value for money! Pocket size ..